“Embark works closely with state and federal regulators to develop automated technology that will radically improve safety on America's roads, and do so in a way that is safe, responsible and earns the public's trust,” the company said. Embark, a startup company in San Francisco that makes self-driving semi-trucks, recently hit a transportation milestone. The company's autonomous semi-truck drove itself about 2,400 mi. from Los Angeles to Jacksonville, Fla., CNBC reported. 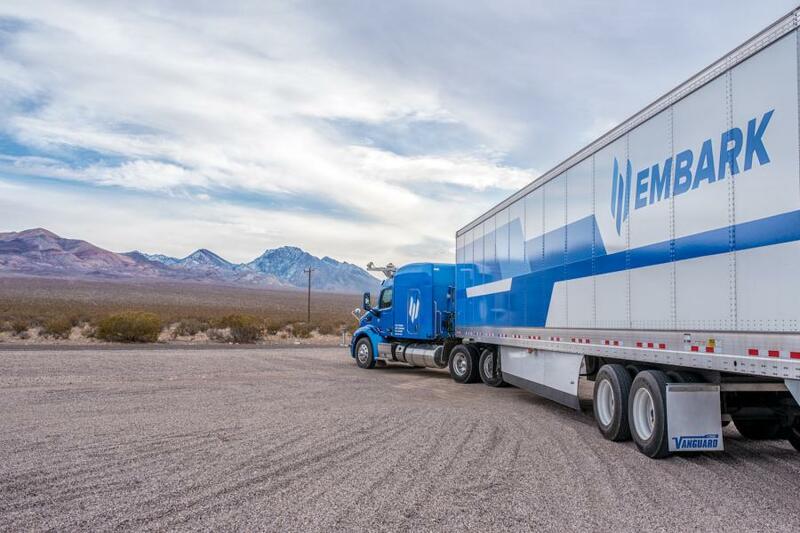 Embark's co-founder and CEO Alex Rodrigues said that so far, the company has installed its self-driving systems into five trucks. The system can be used in Peterbilt models, and potentially other vehicles, CNBC reported. Embark is set to acquire 40 more semi-trucks this year to test the system some more, and see how it does with long-haul deliveries. The company was founded in 2016, and since then has raised $17.2 million in venture funding, collecting investors like Data Collective, Maven Ventures, AME Cloud Ventures and Y Combinator, along the way. Embark's system uses a combination of machine learning software and data obtained from the trucks' sensors to create a real-time map of the area, which helps the vehicle steer clear of any obstacles. This method differs from other self-driving truck technology, which typically “pre-maps” the truck's route, and then uses on-board sensors to modify as it drives, CNBC reported. Trucks fitted with Embark's driving system have a “sensor suite,” which includes five cameras. Three long-range radars and at minimum two light detection and ranging sensors (lidars). In the test drive from Los Angeles to Jacksonville, professional safety drivers sat inside the cab, prepared to take over in case anything went wrong. If the concept takes off, the trucks would be able to drive autonomously on highways, but would need the help of a human driver to get them on and off exit ramps and through towns and cities, CNBC reported. According to Rodrigues, self-driving trucks would allow truck drivers to keep their jobs, but would aid them in making more long-haul deliveries in less time.